Once we arrived in Hamamatsu, we got our suitcases, checked into our hotel and wandered the area of the hotel a bit. 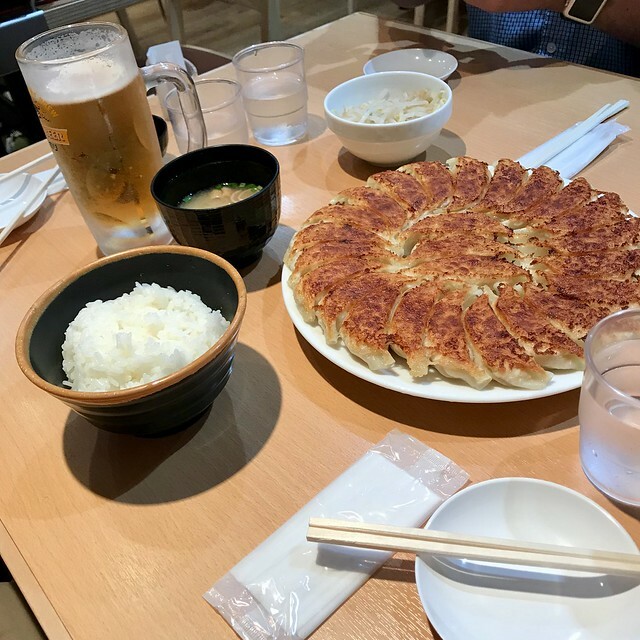 We were told that karaage (fried chicken), gyoza (Japanese dumplings) and unagi (eel) were specialities of the area so we set out for some gyoza. The front desk suggested we visit a restaurant near the train stop we came into so we headed that way. We learned that larger cities in Japan have a great series of underground passageways to help keep pedestrians safe from crossing busy intersections. In Hamamatsu, this was very useful. In Tokyo, it was still way too easy to get lost underground so we often stayed street level (that is an option still). It was really yummy! 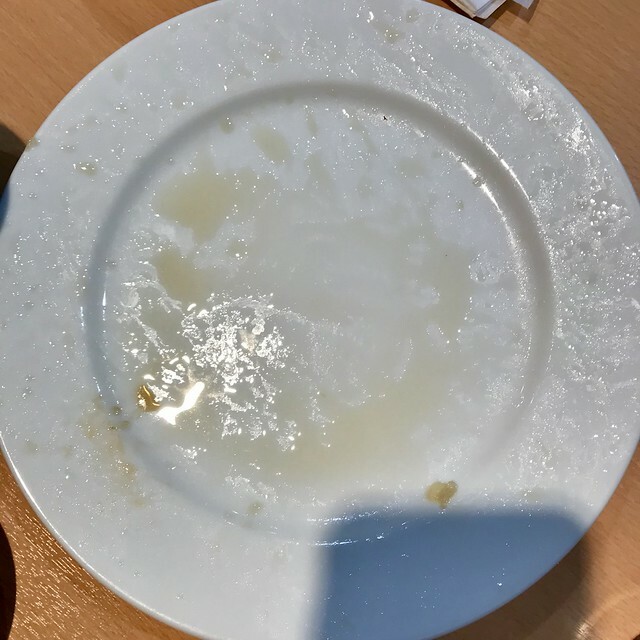 4 people easily shared that plate of 25 or so gyoza. Our hotel had a great view of the train station area, too. After I took this picture, I thought about taking one with all the lights in the room off but I really like the way it turned out and kept it as is. 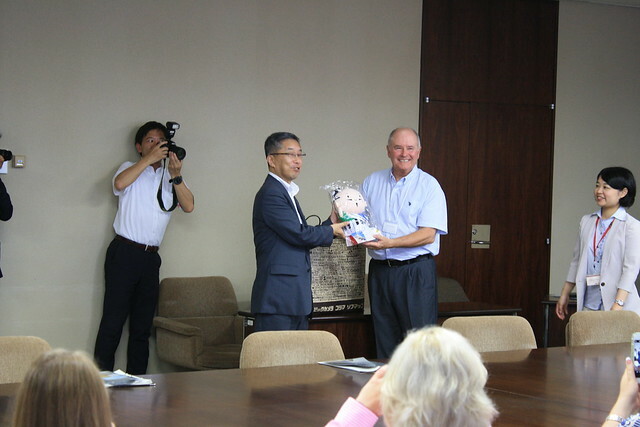 The next morning, we had a visit with the Deputy Mayor of Hamamatsu. It was a good will type meeting and Keith Bearden was very eloquent with his remarks on our behalf. I was reminded at how passionate he is about music education and was proud to be represented by him and his words. There was a nice gift exchange, accompanied by lots of bowing (of course) as well. 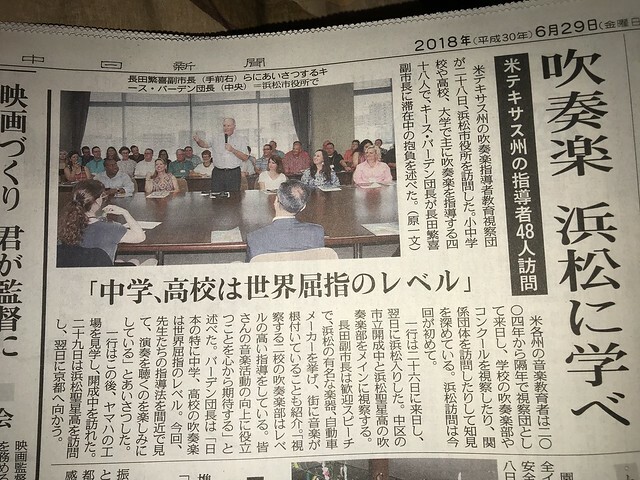 This was apparently highly appreciated by the City of Hamamatsu as well because our meeting made the paper! Hamamatsu is known for headquartering several musical instrument companies. We had a great tour of the Yamaha factory. Unfortunately, they don’t allow any photos inside so I don’t have any to share. It was a great tour, though! The Hamamatsu Musical Instrument Museum is also there. It was so amazing, it will probably get its own post. Suzuki Motor Co. has their headquarters there and Honda Motor Co. was founded in Hamamatsu. It would have been cool to go see one of those factories (especially since I talked so much about car manufacturers with my student Xavier) but our days were so full, it wouldn’t have been possible to squeeze in another tour somewhere. Maybe next time I’m in Japan without a pre-set schedule, I’ll make a point to go, probably to Honda. More adventures, band, band and more bands, to come! 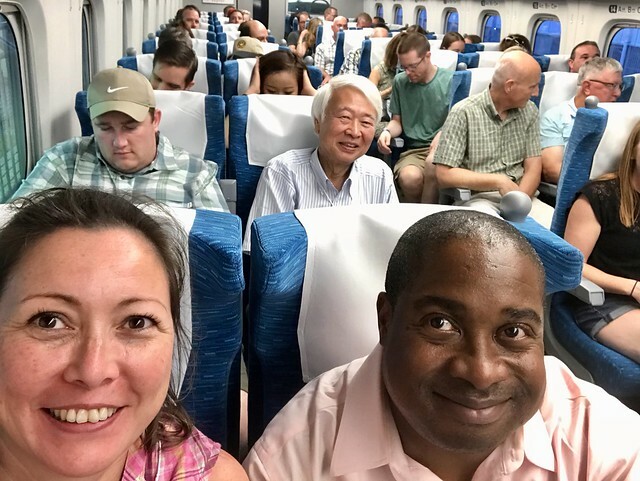 From the Japan Air Self-Defense facilities, we were on the road again, first by motor coach then by Shinkansen or bullet train. Bullet trains have been used in Japan since the 1960s. We are WAY behind on this technology and ability to travel with speed. We had lunch at Dango-zaka rest area and it was like a Buc-ees! They had food, souvenirs, lovely restrooms and gas. What else can you ask for? 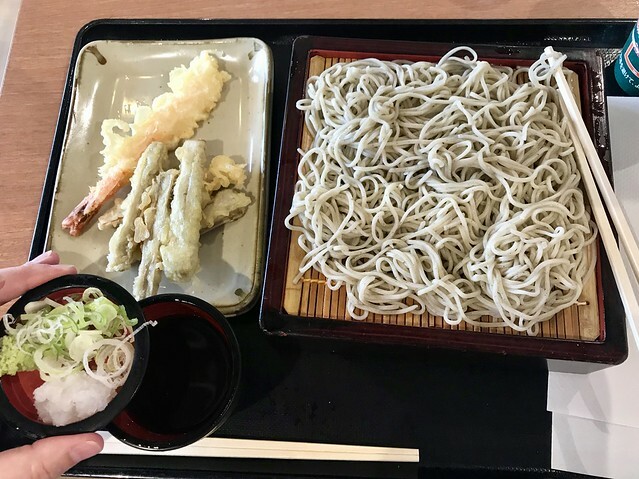 The dining there was a food court situation and as I looked through the picture menus (my reading of Japanese is minimal) but I found a picture of zaru soba (cold buckwheat noodles with a chilled broth) that struck a nostalgia nerve and I knew that was going to be my lunch. I was proud of my ability to order in Japanese and it be understood as well. This was only our first full day in Japan and I was very nervous about how rusty my Japanese speaking skills were. Also, as I was waiting to put in my order, one of the folks on the trip was having communication issues on how to order his meal at the next restaurant over. They apparently order via a touch screen machine off to the side. You know how Americans tend to speak louder when there’s a language barrier? Apparently, it’s not just Americans! I was able to help translate what my fellow traveler was to do for this lovely couple (I can’t remember who it was, though) and they were able to order their meal. 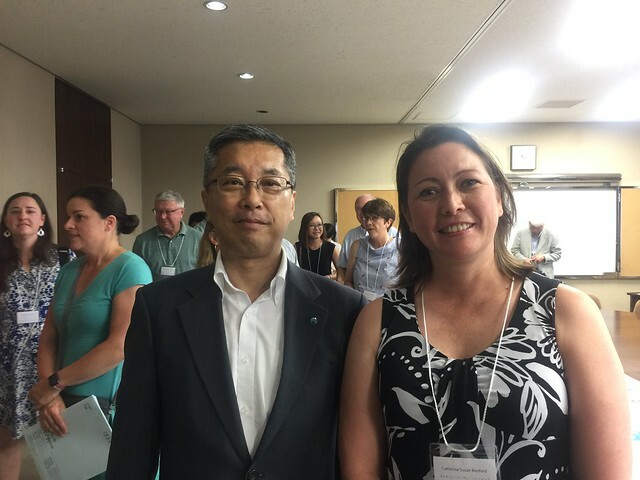 Proud moment there – my Japanese wasn’t as extremely rusty as I had thought!! ing. 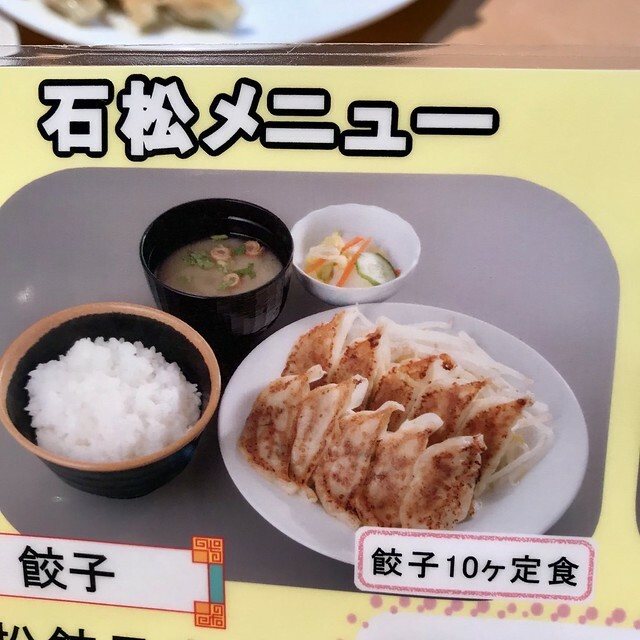 You dip your tempura in that broth as well. It obviously wasn’t homemade but it was certainly yummy! h the load of crazy Texas band directors coming her way! 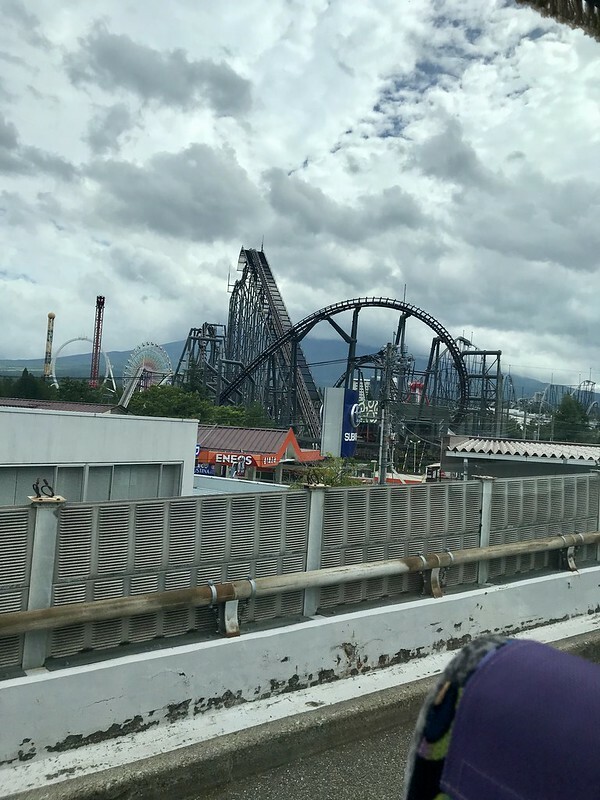 As we approached the area, we spotted a theme park with several large roller coasters. 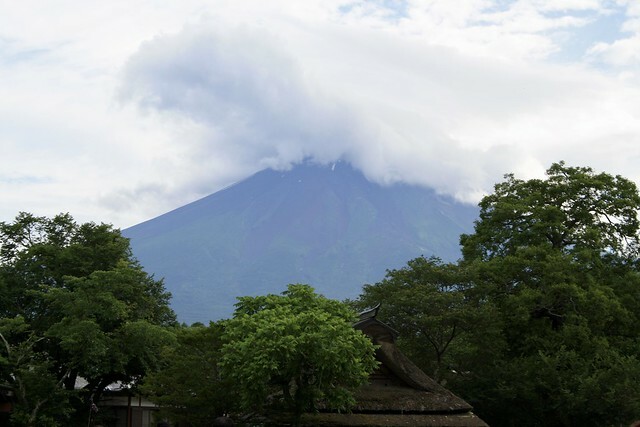 Six Flags over Mount Fuji anyone? 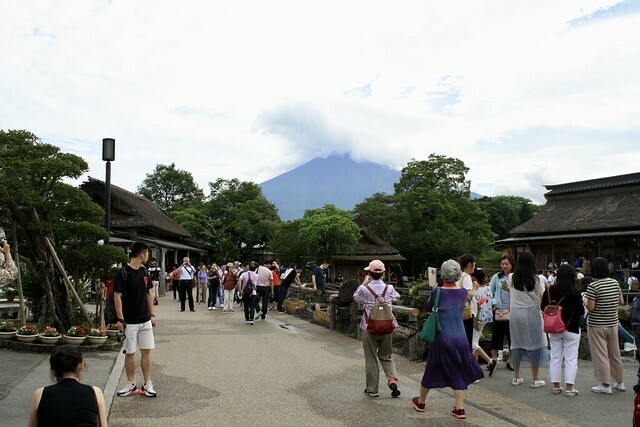 Of course, there was more shopping, lots of food and great scenery. 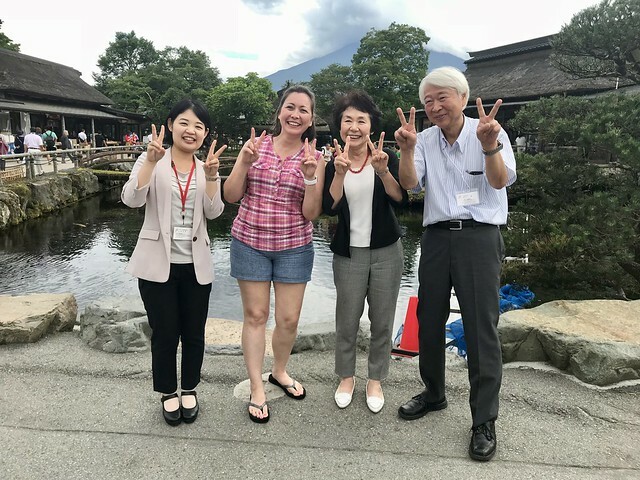 Our hosts, Ken & Yuriko Murakami and Tomomi Kubo were also delightful in taking photos with as many of us! 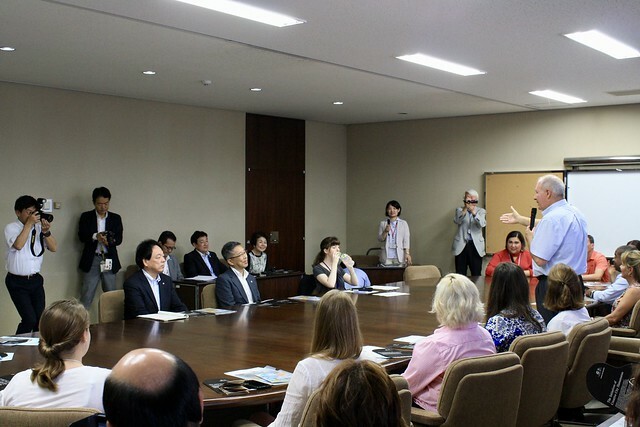 Many went ahead with hand signs of their respective universities but I choose the typical Japanese peace sign. I have too many university hand signs to deal with! 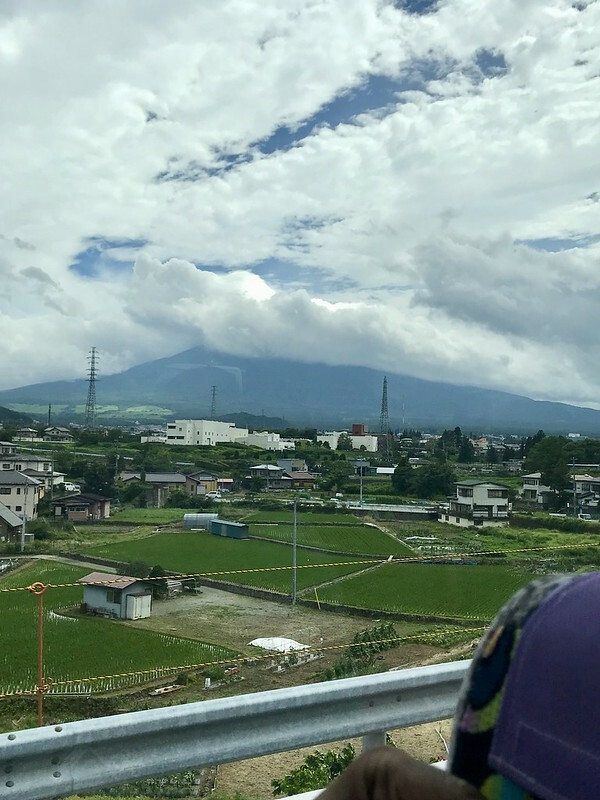 Once the shopping was done and pictures were taken, we were back on the road again to Mishima Station, where we’d take our first Shinkansen ride (bullet train) to Hamamatsu. These bullet trains are SO fast! I got a video of one passing as we waited for ours. There is a chunk of it that is in slo-motion (I love the features of my iPhone!!) but understand that the train passed by in about 10 seconds. Crazy fast!! 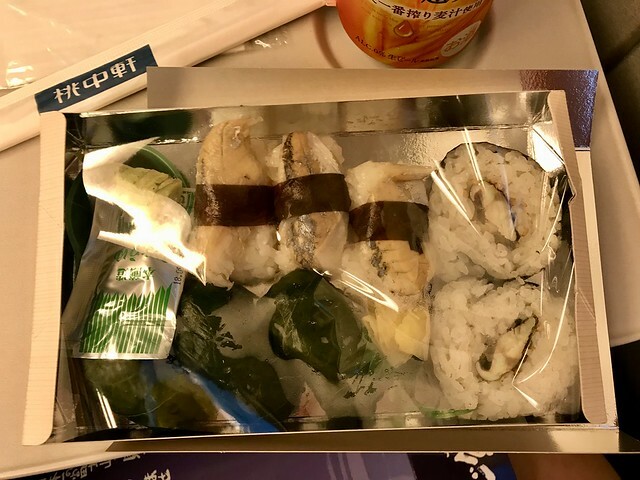 Often times, people commute via Shinkansen and on the way home, they need to eat dinner. 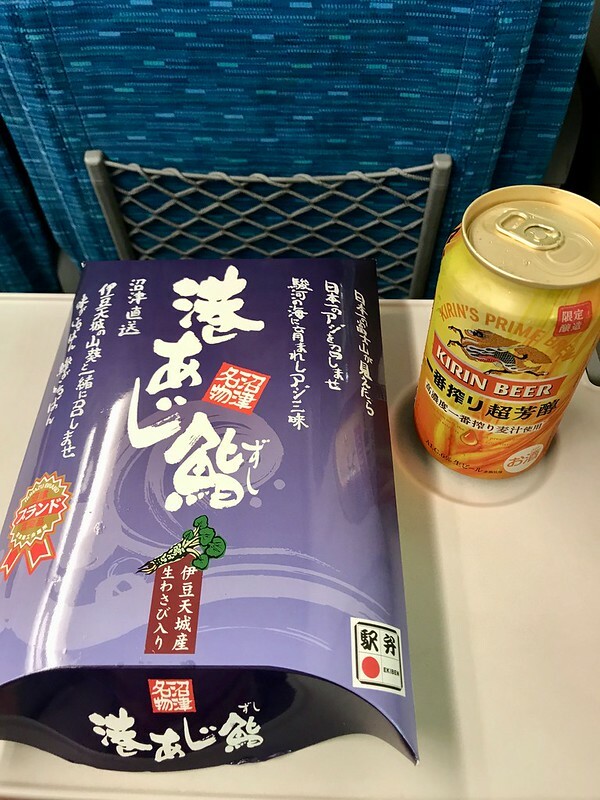 So, you get a bento box and a beer and have a party on the train! Cliff and I had our own little bento box party. 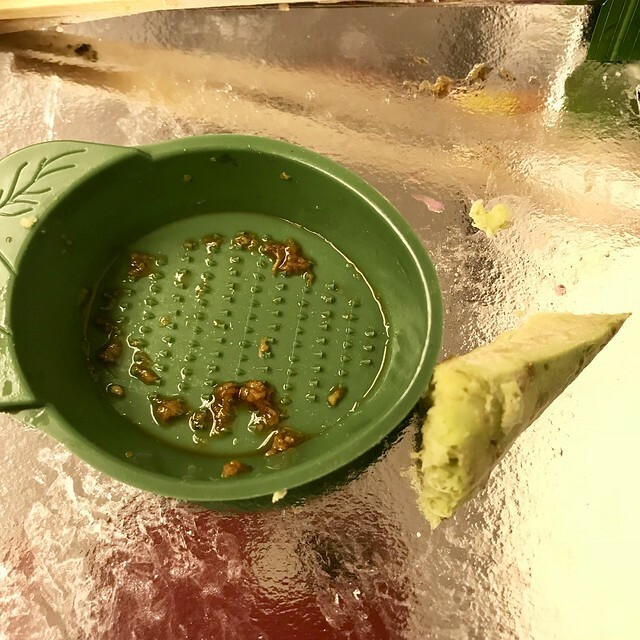 Here’s my bento box, complete with the actual wasabi root that you have to grind yourself. SO much more tasty! So that was our full first day in Japan. 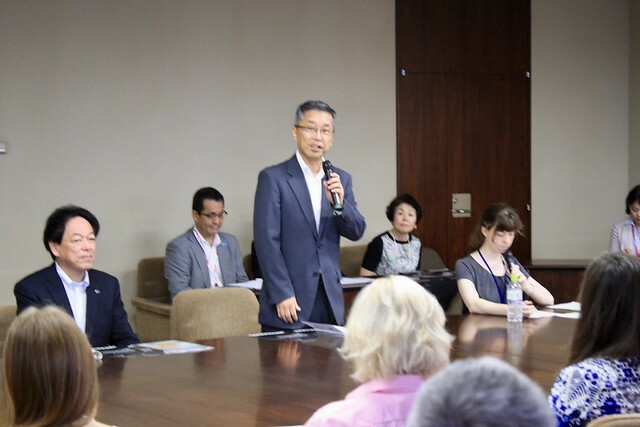 Next part of our journey are the several days we spent in Hamamatsu. More adventures, food and shopping (always shopping) to come! 2 years ago, a bunch of my friends went to Japan and posted a ton of pictures on Facebook. I found out who organized the trip (Thank you, Keith Bearden) and decided right then and there that I was going on this trip the next time it was offered. And I did! The next few blog posts will be about various parts of our trip to Japan. We begin with our trip from Austin>Dallas>Tokyo. Cliff (my friend and Japan travel buddy) and I took the Megabus from Austin to Dallas. Turned out that Yvonne, who was my trip roommate had also taken the same bus so it was a little bit of a party on the Megabus. Once we got to Dallas, Cliff & I Ubered to our Airbnb, which was a lovely guest suite inside this gorgeous home owned by Nazare & Eric in Flower Mound. If you need to stay somewhere in the DFW area, I highly recommend looking into her Airbnb. She uses the money she makes from her rental to support a family in a 3rd world country overseas that one of her children worked with. They are beautiful people and I hope to spend more time with them in the future! The next morning, we Ubered to the airport and I left my phone in the Uber. Thank goodness we had several hours before we boarded our flight, hadn’t gone through security yet AND Cliff had called the Uber because we were able to get the phone back without any issues and get our trip actually started. Once through security, we met up with 46 of who would become our closest friends at the gate. We finally boarded our flight, which was about 13 hours long and began our journey to the Orient. 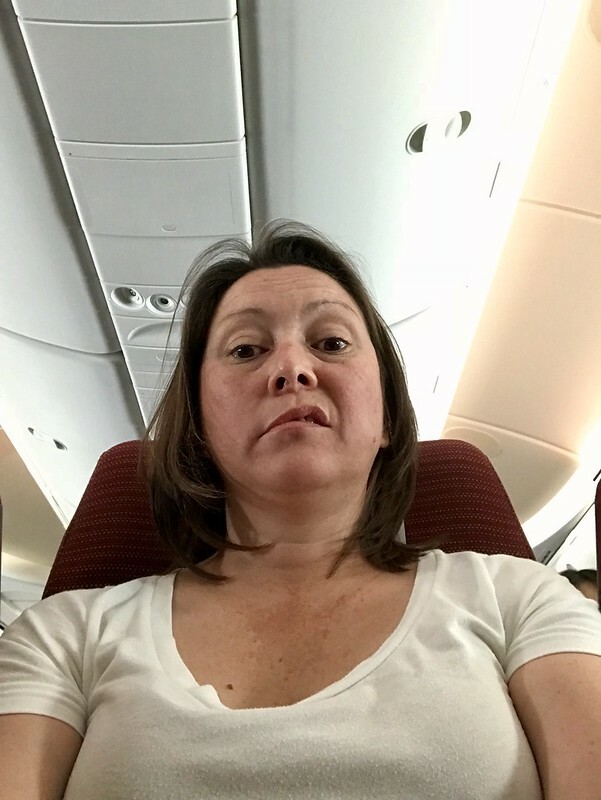 13 hours is a long flight and although we had all the luxuries offered by coach on JAL, I was tired of being on an airplane! 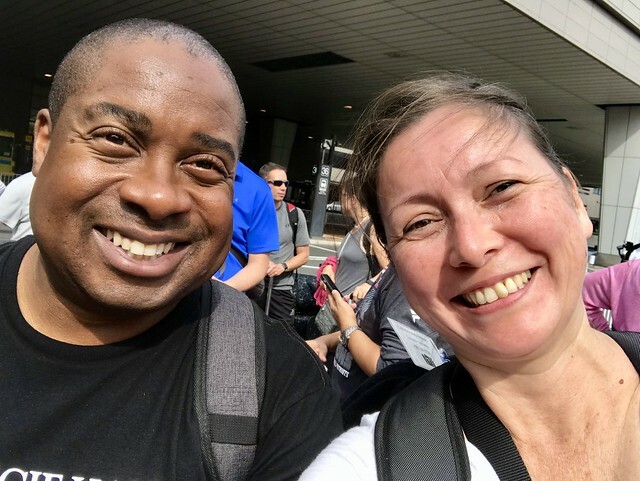 Cliff and I were certainly happy to be off the airplane as we loaded our suitcases into the truck at Narita airport. 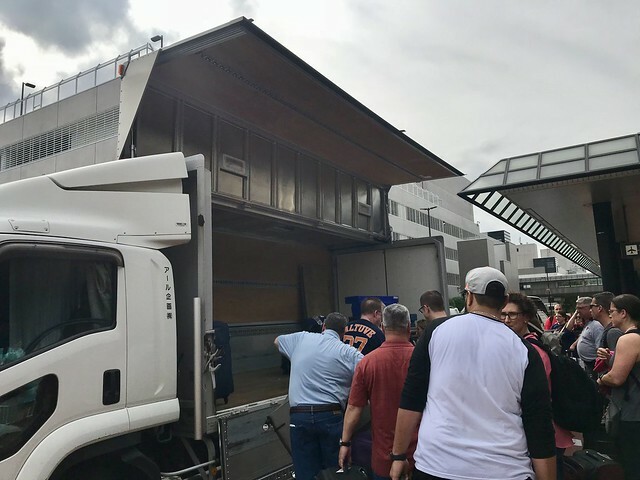 By the way, THAT’S the way to travel with 48 people – have a truck move all the suitcases from hotel to hotel! And this was a cool truck, too. The door opened on the side, much like a transformer. Actually, quite a few things in Japan opened and shut like a transformer. 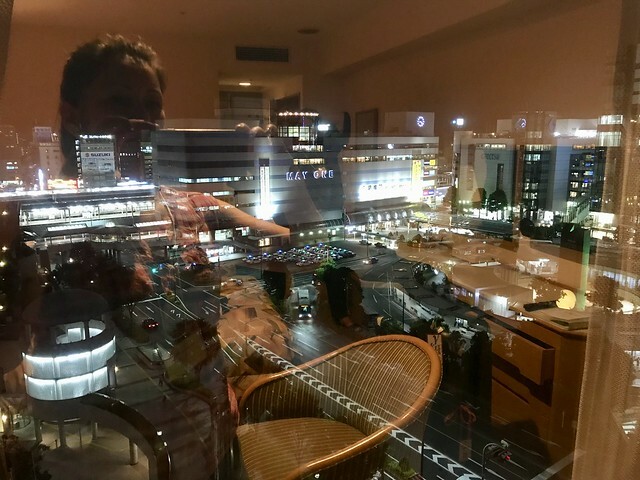 From there, we bussed to our hotel, the New Otani Inn, had dinner at the Yebisu Bar nearby, where you can get amazing Yebisu beer that you can’t get in the US anymore, and my cousin Shigemasa joined us after work. I didn’t get a picture of us, though. I was too tired yet excited and forgot. 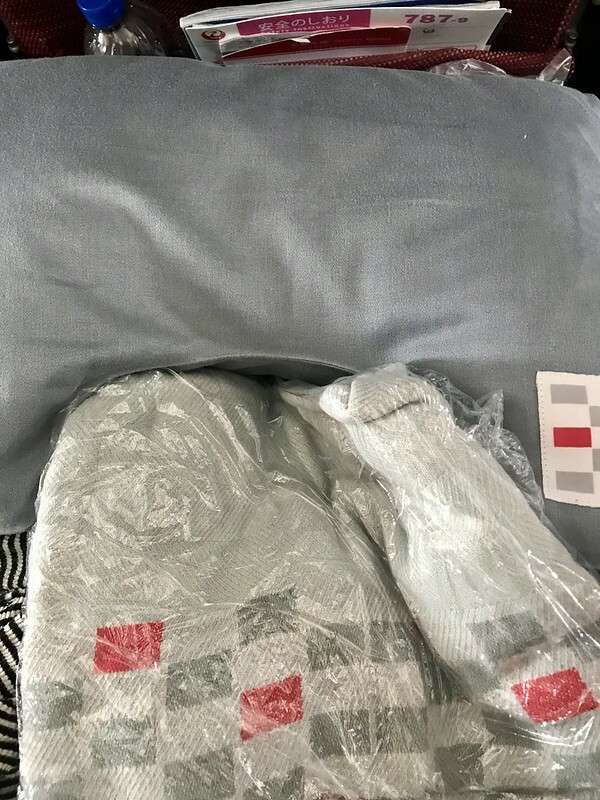 The next morning, we checked out of our hotel, loaded up the motor coach with slippers and a gift and headed to the Japan Air Self-Defense Base. All the “military” forces in Japan are called “Self-Defense” because after WWII, Japan signed an agreement to not have their own military anymore. They are allowed to defend themselves, however, which is how the various Self-Defense forces came to be. We got a tour of their band facilities and they played a wonderful concert for us! Stay tuned for the next portion of our adventure!